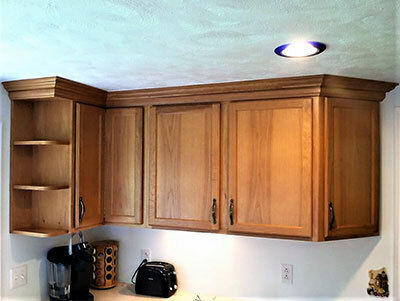 Old World Refinishers in Binghamton NY is here to help you with all your kitchen remodeling and antique furniture repair, restoration & refinishing needs. When you want to bring a touch of elegance and sophistication to your home, we can help. Whether you’re looking to restore a beautiful classic antique, or refresh your kitchen or bathroom, we have the tools and craftsmen that will help you get the job done. When you put your trust in us, you’ll get old fashioned quality through the best modern restoration techniques. Our experts can give the center of your home a fresh new look. We offer the following services to customers in Binghamton, NY, and the surrounding areas. 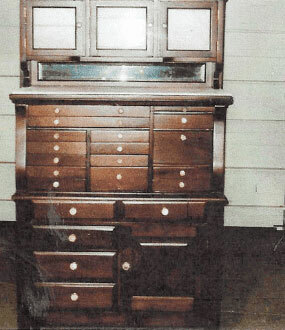 Any look is possible with custom crafted cabinets from Old World Refinishers. Each piece is custom-made to fit the needs of your home’s esthetic, and can be tailored to a wide range of rooms. Thank you very much for the fine job on our kitchen cabinets. You, Kevin and Roy did a great job. We would recommend your company to anyone. 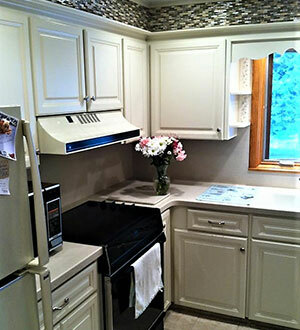 It has been over a month now since you and Kevin finished the refacing of our cabinets. We would like you to know how much we’ve appreciated the new look. Your help in getting a new counter through Cortland Floor Kraft was appreciated, too. That, also was an excellent job done. The workmanship, along with consideration that we not be inconvenienced any more than necessary, made the transition easy. Thank you very much for all you help, it was much appreciated. Thank you so much for your hard work updating my kitchen more than a year ago. I enjoy it every day, but especially during the holidays when I do a lot of cooking. In fact, some holiday recipes this year came from new cookbooks I bought with the Barnes & Nobles’ gift card you sent to me-Thanks for that too! It’s just so great to have attractive cabinets that open & close with ease, to have good lighting above my stove, & to see that lovely tile work when I walk into the room. I continue to appreciate your fine work and attention to detail. Thanks again for all of your efforts. I wish you & your business all the best in the New Year! I can’t tell you how much I love our new hickory kitchen and wanted to thank you for making it exceed my wildest expectations! It is perfect in every way & I so appreciate your diligence in making that happen. Any of my concerns or hesitations were quickly resolved to our satisfaction with your assurance & expertise. I am grateful at how accurately you stayed on schedule & kept in touch email even with our various adjustments & requests-and the minimal impact the work had on my daily functioning in my home. Your concern for that was especially noticed & appreciated! We will not hesitate to call on you again for any future projects, and will & have recommended your work to family & friends – it speaks for itself!